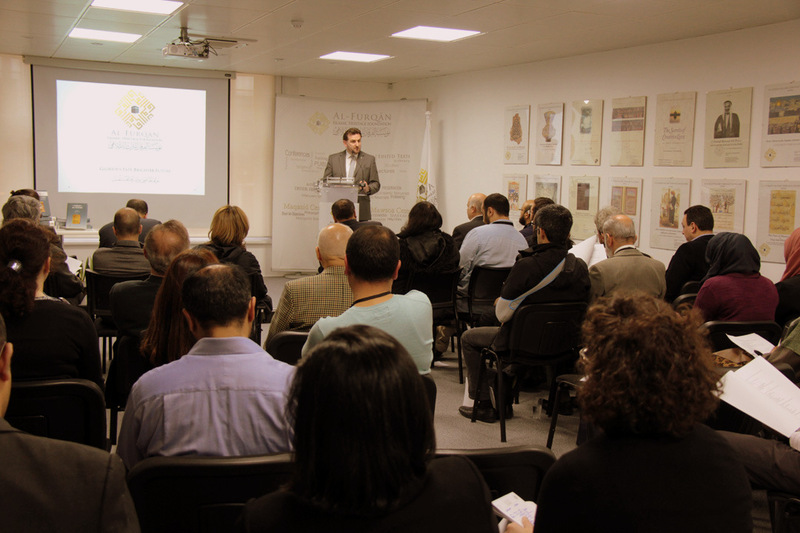 On Wednesday 22nd April, a public lecture exploring “The Fihrist of Ibn al-Nadeem and the Transmission of Knowledge in the Islamic World” was presented by Professor Devin Stewart at the Al-Furqan Islamic Heritage Foundation. 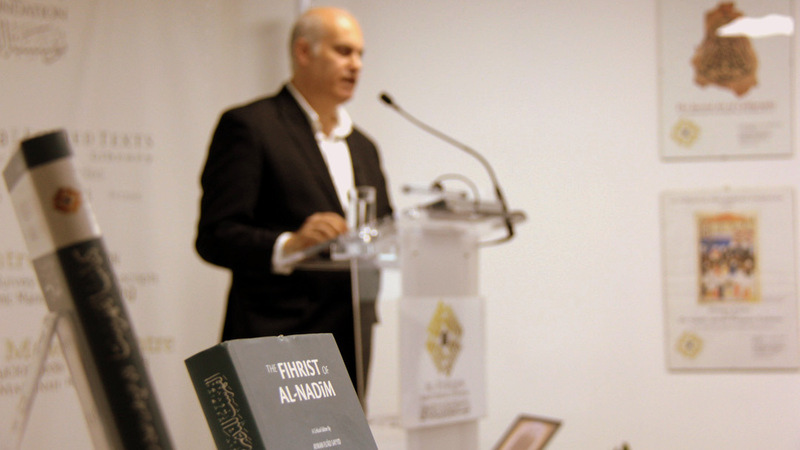 Keynote speaker, Professor Devin Stewart, is a Winship Distinguished Research Professor of Arabic and Islamic Studies at Emory University and his lecture entitled, “The Fihrist of Ibn al-Nadeem seemed to be very well received. During his lecture, Professor Stewart provided an insightful overview of the historical and scientific importance of the Fihrist. The Firhist, Professor Stewart articulated, included a most pertinent systematic taxonomy of human knowledge, which had been presented and recorded up until the work’s composition in the 4th century A.H. / 10th century C.E. Thus, listing it as much more than solely a catalogue of various book titles and sciences alongside a bibliographical survey of writing in Arabic in the main scholarly fields of the time. A crucial resource for the investigation of a wide array of topics in the intellectual, cultural and religious history of the Late Antiquity and early Islamic periods. An indicator of the rise and development of the Islamic religious sciences, as well as many other fields.- One of the pioneering works in the sphere of surveying the intellectual movement in the Muslim world, preserving titles and descriptions of many hundreds of lost works. Hence, making the Fihrist a work far greater than a mere reference for book titles. A pertinent document recording the historical transmission of knowledge in the Islamic world. 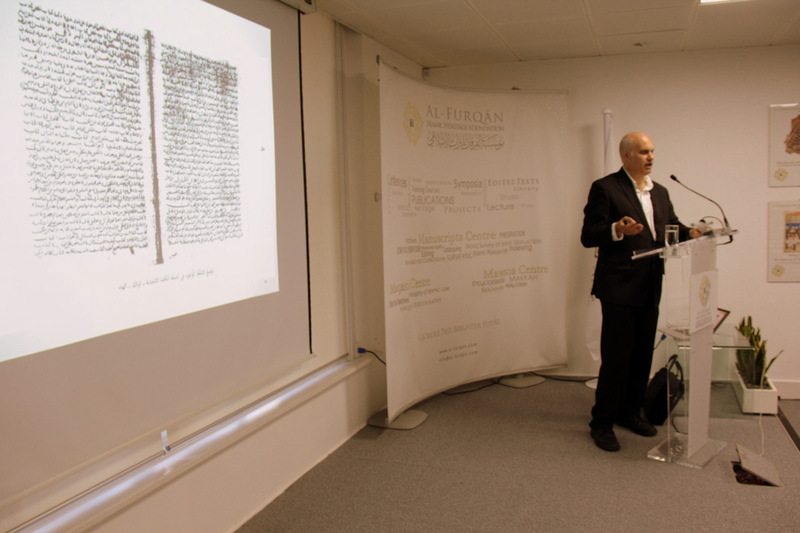 Subsequently, Professor Stewart discussed the main editions of the Fihrist published so far, suggesting that the most superlative and complete to date edition is that compiled by Dr Ayman Fuad Sayyid, and published by Al-Furqan Islamic Heritage Foundation (2009, 2014). Emendations and corrections of the text, etc. Technical terms in Greek, Persian, etc. The numerical alphabet from India, etc. 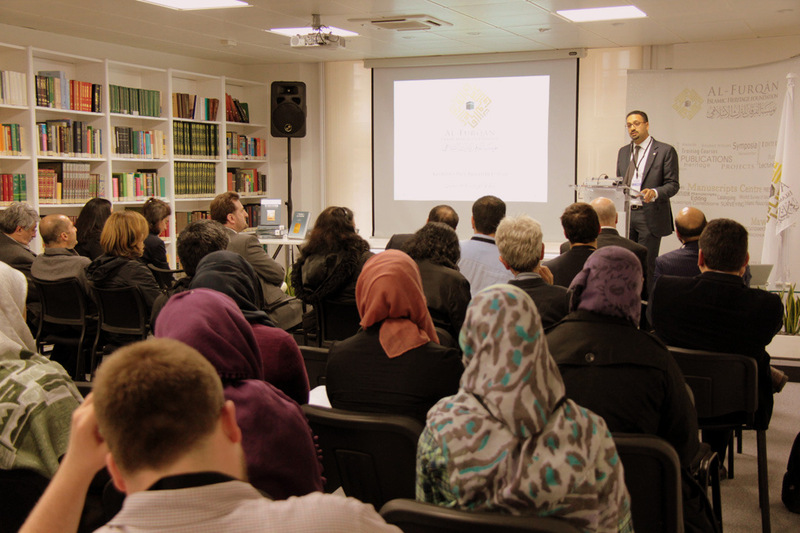 The lecture was followed by several questions from the specialised and distinguished audience regarding various aspects covered by Professor Stewart in the lecture. 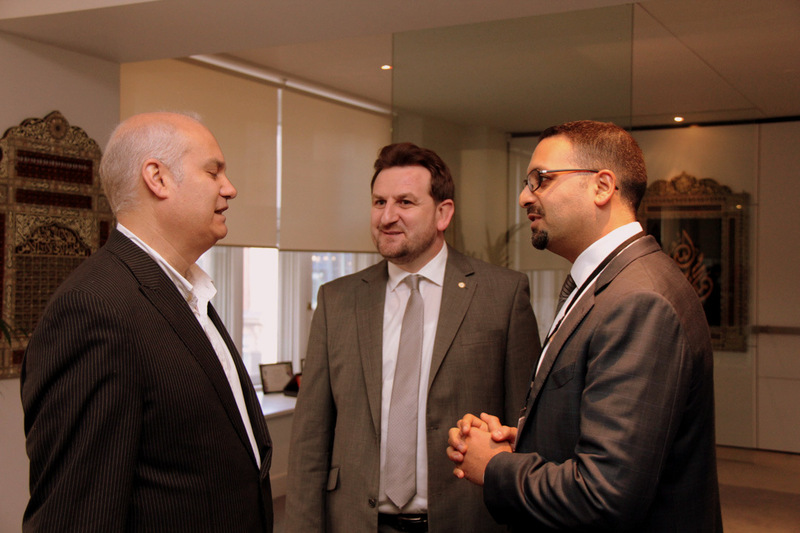 Mr Sharaf Yamani, Board Member of Al-Furqan Heritage Foundation.